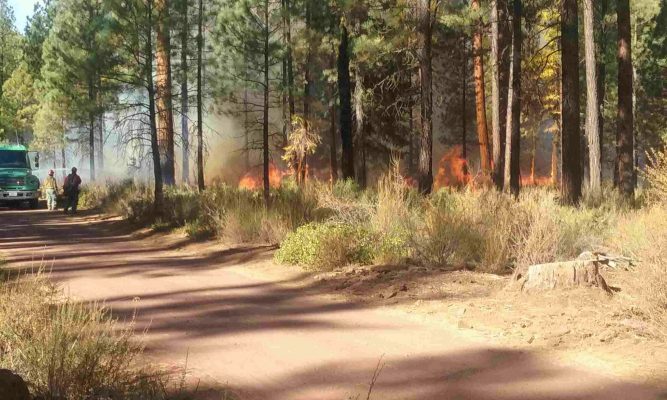 The Sisters Ranger District conducted a successful, well controlled, prescribed broadcast burn on October 15, 2018, that included two Heritage Forest Demonstration Plots. Plot 1A, Larch Restoration, southwest side of the 4-Corners: Western larch were planted several years ago after larch failed to naturally reseed following a prescribed burn in 2003. Branches, needles, and duff were cleared around living planted larch seedlings to improve their chances of surviving the just completed prescribed burn. Most of the planted larch appear to have survived. 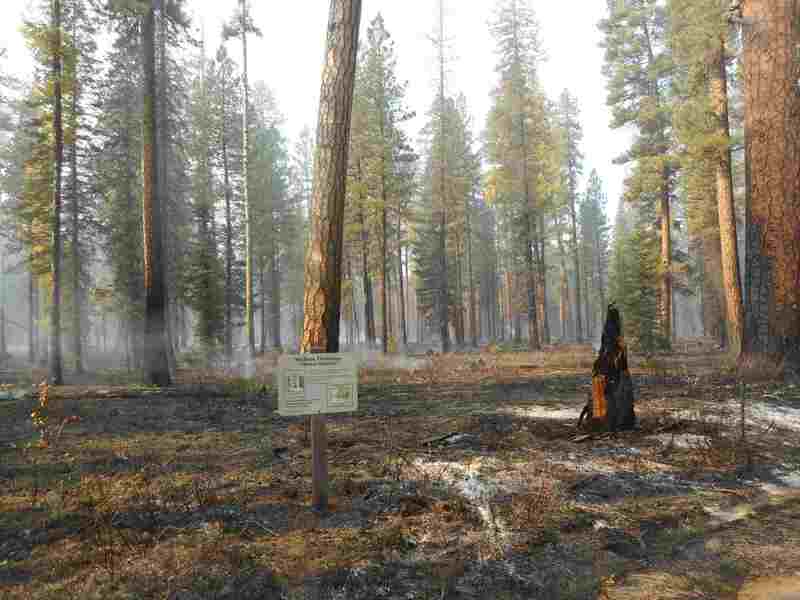 Possibly the 2003 burn was too cool to create the bare mineral soil conditions needed for natural larch reseeding This burn under dry conditions should have exposed the soil enough for successful natural larch regeneration to occur. Plots 1B Thinning (north of Suttle Lake trailhead) and Plot 2 Thinning (northwest side of the 4-Corners): This burn consumed down branches, needles, duff, some brush, and a few small trees that could fuel a potential wildfire. It may have killed a few larger white fir and Douglas fir. That could be a good thing because these species are much more prevalent now than they were prior to the last 100 years of mostly successful fire suppression.